A first look at the indie drama, set to debut at SXSW. Writer/director Megan Griffiths (Eden; Lucky Them; The Night Stalker) returns with her latest drama, Sadie, set to debut at this year's SXSW festival on March 10th. The film stars Sophia Mitri Schloss as a teenage girl whose loyalty to her absent military father takes a dark turn when her mother (Melanie Lynskey) begins an affair with another man (John Gallagher Jr.). Tony Hale, Keith Williams and Danielle Brooks also feature. 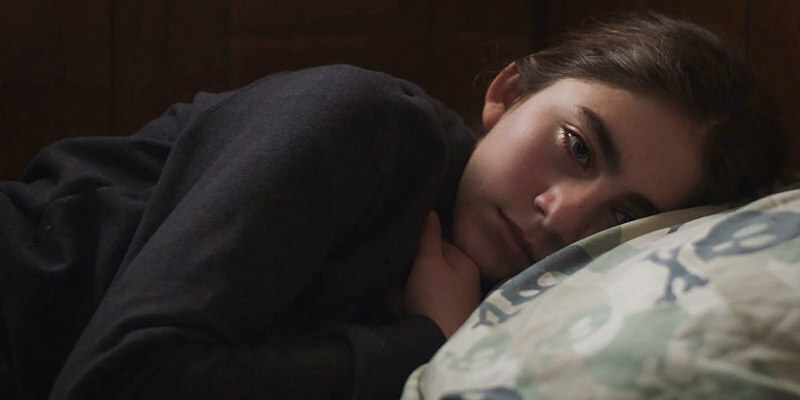 SADIE is the story of a 13-year-old girl (Sophia Mitri Schloss) who lives at home with her mother (Melanie Lynskey) while her father serves repeated tours in the military. Sadie is extremely attached to her father despite his prolonged absence, and when her mother begins dating a new man (John Gallagher Jr.), Sadie takes extreme measures to end the relationship and safeguard her family through the only tactics she knows – those of war.